The National Council of Churches in the Philippines takes strong exception to the snide statement of Senator Vicento Sotto, III at yesterday’s confirmation hearing for Secretary Judy Taguiwalo, a solo parent. The senator’s remark is utterly disrespectful. It is an affront to women, especially those who run their households, singly yet with much dignity. We congratulate Secretary Taguiwalo for her remarkable response and refusal to dignify such misogyny. Through the years, the traditional model of a father-mother-child family has been made inclusive by the recognition and appreciation of other types or models of a family that evolved because of people’s different circumstances. Women who lead female-headed households must be commended for standing up to the difficult and positive challenges to ensure family survival. It was courageous of Secretary Taguiwalo to state candidly her personal circumstances at the hearing. A distinguished and respected professor, a consistent advocate of women’s rights, an advocate of peace and justice who suffered and a department Secretary who brought the government closer to the people, Secretary Taguiwalo deserved better at that hearing. 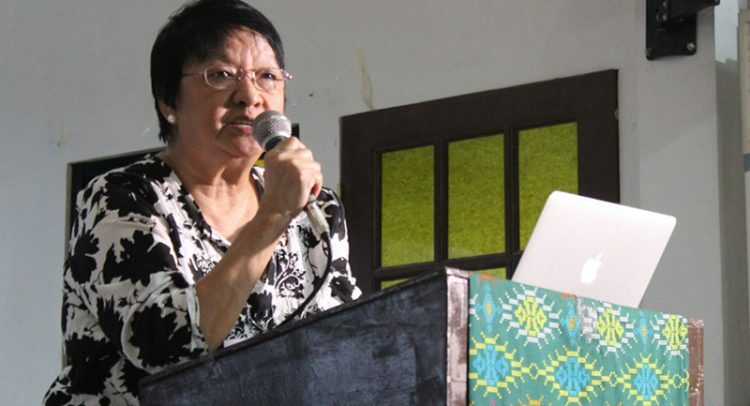 The senator could have focused on what the DSWD can and should do and inquire how Secretary Taguiwalo intends to make the department conform to President Duterte’s statement that change is coming. Instead, he chose to intrude into the private person of the Secretary and treat it as a light matter with the casual dismissive apology, later. Senator Sotto represents the whole institution. His light treatment of Secretary Taguiwalo renders the Senate’s zealous assertion of courtesy, parliamentary or otherwise, comical at worst and farcical at best. May this be a lesson for those in public offices and for all in leadership positions. Sensitivity to the dignity of persons is not only a procedural matter but also one of respect at all times and in all places. For Christians the observation, defense and preservation of human dignity stems from our understanding of our Lord Jesus Christ whose resurrection cast out prejudice that life may be restored to its fullness. May God continue to instruct us in the ways of His risen Son. Rev’d Fr. Rex RB Reyes, Jr.